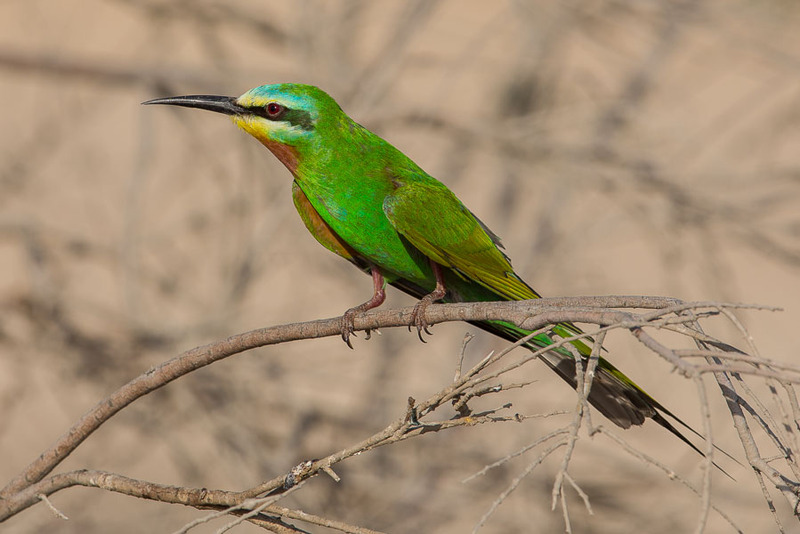 Migration has almost stopped in Dhahran but I found a really smart Blue-cheeked Bee-eater sitting in a small tree by the side of the spray fields, which brightened up an otherwise fairly uneventful evening birding. 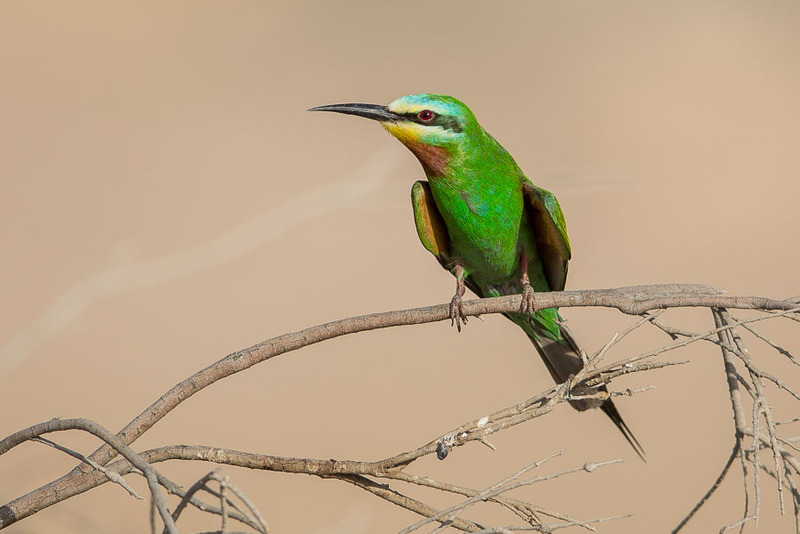 I had seen a Blue-cheeked Bee-eater a few days before but it was distant perched in a tree by the percolation pond and this was the first one I had seen for more than a week. 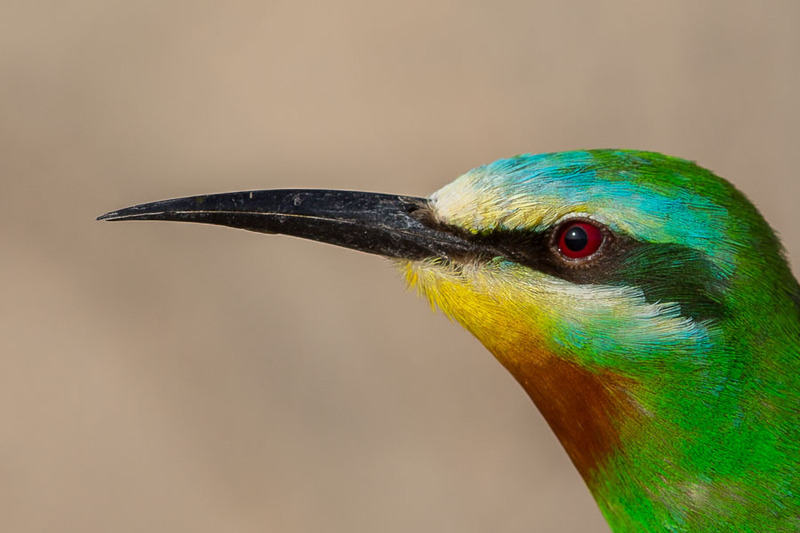 It has been a good spring for the species with a number of good photographic opportunities presenting themselves and a lot of birds passing through. Lets hope the return autumn passage is also good.